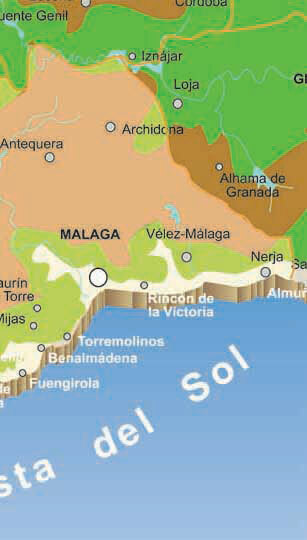 The city of Malaga has developed along the river Wad al Medina, or as it is known today "Guadalmedina", in a location that according to ancient writings was a thick forest of centenary corks and oaks. This river caused heavy losses in lives and materials between 1544 and 1661, until 1876 was believed to have solved the problem after lowering the river bed and channelling the river… although the river overflowed again taking 30 lives. Finally were built large dams at the upper river to retain floodwater and was planted vegetation that had disappeared. The Dam Presa del Limonero has not acted at full capacity since 1930 and the planted trees have given the city a large natural park for the enjoyment of its visitors. From Arabic meaning "River Guard", this river ends west of the city of Malaga and flows in the upper part of it tour through the Gaitanes Gorge, an area of ​​great natural beauty that we recommend visiting. Another visit that you cannot ignore is the Guadalhorce-Guadalteba reservoir, where you can take some fantastic photos. River known for having many beautiful natural spaces and with its source in the Sierra de Almijara. 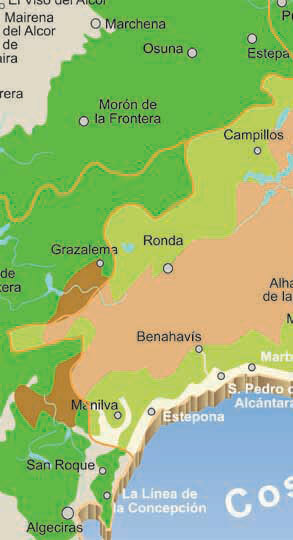 Its source is situated in Genal Valley in Serrania de Ronda. With its source in Sierra de las Nieves, a pretty popular place during the summer, this river of just 30 km length flows into the Guadalhorce River. This river has a great archaeological and ecological interest in the area of its river mouth. If you want more information about natural areas of Malaga, check out our guide to hiking and nature parks in Malaga.